PEARL HARBOR, Hawaii - The U.S. and Singapore today announced the inaugural deployment of a U.S. Navy P-8 Poseidon aircraft to Singapore from Dec. 7-14 to support cooperative efforts in the Indo-Asia-Pacific. Secretary of Defense Ash Carter and his Singaporean counterpart Dr. Ng Eng Hen announced the move in Washington and noted the aircraft’s deployment would promote greater interoperability with regional militaries through participation in bilateral and multilateral exercises, while also providing timely support for regional humanitarian assistance and disaster relief, in addition to maritime security initiatives, according to a joint statement. 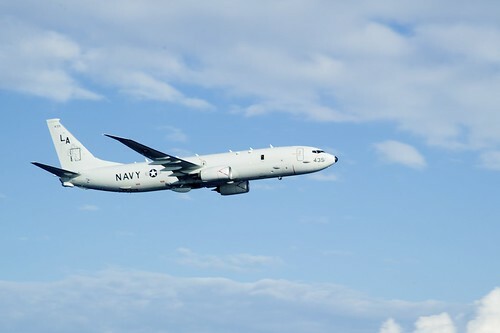 The P-8 deployment, which takes place within the scope of the 1990 Memorandum of Understanding and 2005 Strategic Framework Agreement between the two nations, expands U.S. forward presence and engagement with partner nations, contributing to regional security, stability and prosperity. The U.S. Navy partners with regional naval and air forces such as those of the Singapore Armed Forces to promote greater interoperability and maritime cooperation. After meeting at the Pentagon, Secretary Carter and Dr. Ng also commended the successful deployment of the second littoral combat ship, USS Fort Worth (LCS 3), which was deployed to Singapore in December 2014. They looked forward to the third deployment in 2016, in line with the United States’ plans to deploy up to four LCS concurrently in the region by the end of 2017, the joint statement said. The two leaders also recognized the 20th anniversary of Cooperation Afloat and Readiness Training (CARAT), an annual bilateral naval exercise.